You have to want to reduce. Anyone who wants to reduce must feel strongly enough about it so that he or she will adhere to a reasonable reducing regimen and adhere to it full time. — Medical Management of Overweight Problems by Edward J. Yarolin, M.D. Edward J. Yarolin, M.D. has expertise in weight reduction methods for overweight men and women. His physician-directed methods help the individual lose weight, lower blood pressure, and reduce the risk of heart disease and hyper tension. 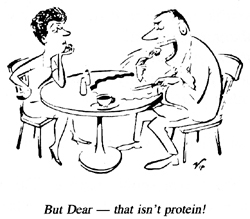 News: Stanford University study says Atkins diet is Best Around. Dr. Yarolin has over 20 years of experience prescribing Atkins-style diets. His modified Atkins-plan uses common foods the individual is familiar with. Stay on track with weekly appointments and reasonable fees which include most medications. Centrally located in San Carlos, Dr. Yarolin serves patients in the greater San Francisco Bay Area. He has been a member of the American Society of Bariatric Physicians (ASBP) for over 40 years. Physician-directed methods help you lose weight, lower blood pressure, and reduce the risk of heart disease, diabetes, and hypertension. Edward J. Yarolin, M.D. has been a member of the American Society of Bariatric Physicians (ASBP) for over 40 years. Contact Dr. Yarolin for more information about his weight loss programs. Inquire about other physician-directed wellness programs. © 2009 Edward J. Yarolin, M.D.